Yesterday I shared you a topic about making jewelry as Christmas gifts and that you can have FREE access to over 400 jewelry patterns. I know 400 jewelry patterns is overwhelming and it would be hard to choose what particular design you would like to start with. Also, we need to take into consideration the amount of time you have to create for lots of friends, relatives, and family members I am here to help you. Well, I hope to help you LOL. I have chosen some designs that beginners and intermediate levels would be able to start with. I assure you these designs are easy to follow and won’t take so much time and days to finish, but the end result would still be satisfying! 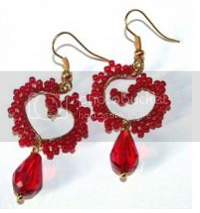 Learn to make these beautiful earrings with crescent beads This elegant beading pattern will easily teach you how to make amazing earrings for Valentine day decorated with crystal drop dangle. 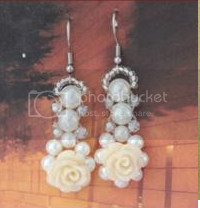 Here is a beautiful earring fit for a bride’s maid. 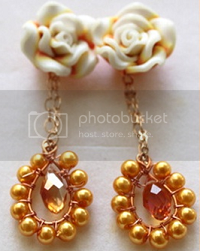 The flower shaped bead serves as the focal bead, bezeled by weaving pearls. 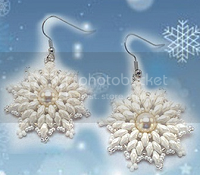 Perfect this coming Christmas – a snowflakes earrings created with Superdou beads! 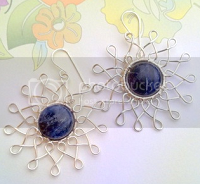 In this lesson, you will learn to create this pair of earrings by learning to construct the frame, wrapping/coiling the loops, attaching the beads and making a pair of ear wires. 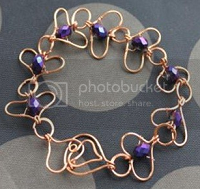 Polish up your wirework skills! Learn to bead wrap and create tear drop shape earring frames. 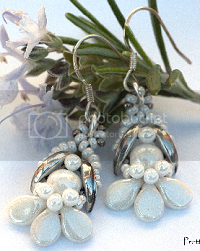 With this tutorial, you’ll get to use tear drops and glass pearl beads. This tutorial will show you how to make an adjustable ring using herringbone technique. The tutorial has 17 pages, 23 steps and lots of pictures. 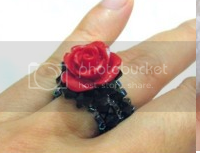 Learn to make this elegant and beautiful beaded ring that looks like a blooming flower. 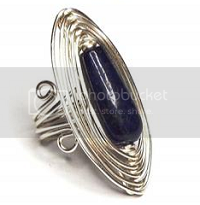 Resembling a dragon’s eye, learn to create this ring by simply weaving around and around. 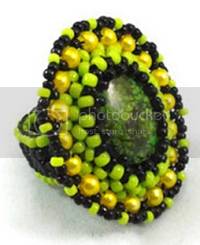 Using Right Angle Weave and Peyote Stitch, first you’ll learn how to bezel the cabochon and then embellish the edges with pearls and seed beads. 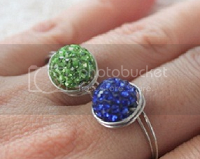 Wire wrapped rings are a popular design for handmade jewelleries. 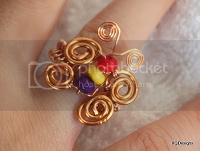 This tutorial will show you how to make a wire wrap ring in 5 simple steps. 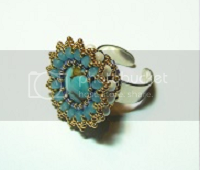 What’s great about this design is that the ring size is adjustable. This design is based on the theme of a butterfly. This tutorial shows you how to make these butterflies through detailed step by step pictorial guide. This is an interesting beading project. Through this tutorial, you will learn how to make to a ring band using right angle weave technique (RAW). Here is a fun piece in blue. CRYSTAL BLUE SNOWFLAKES remind me of the soft snow. Perfect this coming Holidays1 Wirewrapping techniques suitable for beginners and intermediate! 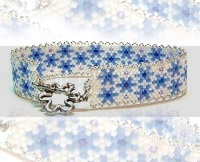 Suitable for intermediate level students, take your basic Tubular Peyote stitching skills to the next level. 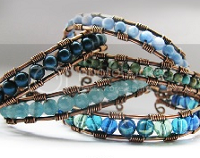 Learn how to create a beaded bead, shaped like a barrel that you can use to create a bangle. Learn to make another variation of handmade jewelry from wire crisscrossing technique! 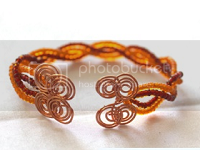 With this suggested design for a wire crisscrossed bangle we’ll teach you how to make spirals. Heart shape is a popular accessory when it comes to jewelry and fashion. Follow the trend so learn how to make the “Love Links” bracelet now! Figure 8 or right angle weave is one of the widely used beading techniques. Going in crisscross direction, like a number 8 you’ll be able to create an elegant bracelet such as the Crisscross Beaded Bracelet. This beading tutorial will teach you how to create a beautiful and unique piece of jewelry using basic bead weaving techniques. 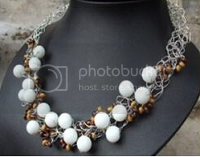 A simple elegant necklace you can wear on formal events. You can create the necklace with a touch of other colors, other than blue tone. Made from black pearls and faceted crystals, the elegant Black Swan Necklace is created by continuously weaving in reverse patterns using RAW, you’ll be able to create the necklace in different colors. Learn how to create a flower using the RAW technique while weaving in circular direction. You’ll also learn how to create a dangle or tail to add onto your flower shape pendant that will make the flower even more unique and beautiful. 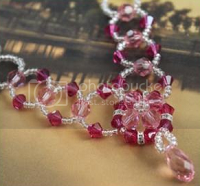 There are over 400 jewelry patterns you can learn. Start making jewelry now and surely, by Christmas time you’ll have every piece gift wrapped and ready! 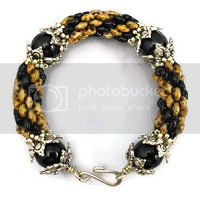 CLICK HERE AND ACCESS MORE FREE JEWELRY PATTERNS! Where do I get the full patterns from of these? There is no place to click? 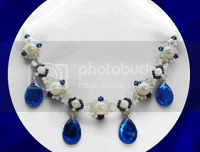 Hello SharShar, at the end of the article there’s a phrase “CLICK HERE AND ACCESS MORE FREE JEWELRY PATTERNS!” that will lead you to the link http://www.diybeadingclub.com/amember/cart/index/product/id/52/c/ Subscribe to Gold Membership free for 7 days to access all 400 jewelry patterns for free. Cheers! Would like to know how to get to these Tutorials Please……. 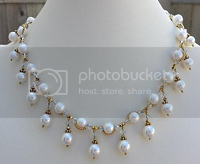 At the end of the article there’s a phrase, CLICK HERE AND ACCESS MORE FREE JEWELRY PATTERNS!” that will lead you to the link http://www.diybeadingclub.com/amember/cart/index/product/id/52/c/ Subscribe to Gold Membership free for 7 days to access all 400 jewelry patterns for free. Cheers! So its a hook to get you to subscribe and then hit you with subscription fees. Thanks for your comment. This is a promotion for our Gold membership that’s free for 7 days. A reader has a choice to try it out for free. You can also cancel anytime before the 7-day free access ends.